The irrigation plan identifies all the details required for proper irrigation construction. The critical elements behind the plan are to identify the areas that need heavy irrigation and the areas that have less need for irrigation thereby delivering the proper moisture to the entire landscape. Irrigation plans include drip systems, valve controllers, identifying the proper spray heads etc. 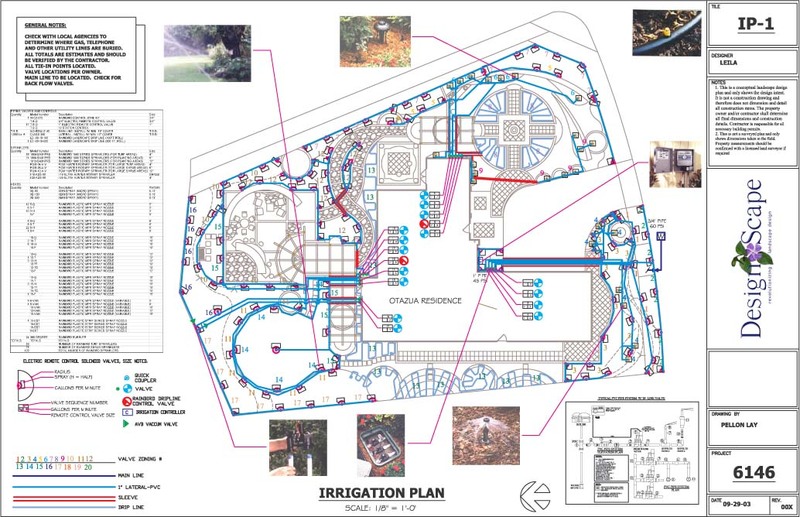 DesignScape Irrigation plans also include a bill of materials that list every foot of pipe, valve, and spray head including size and quantity so contractors can quickly develop their bids. A properly planned irrigation system can reduce water usage by as much as 50%.